….A cool German word that means what exactly? A good definition would be, a group of Volkswagen drivers all sharing a common goal – to have way more fun than any other drivers while getting from place to place. Ensuring you get the performance you deserve from your vehicle Berkeley Bob’s specializes in Volkswagen service, brakes, suspension and general repair. Whether you need a Volkswagen oil service or are experiencing drivability issues which require testing we are equipped to handle it. Our experienced technicians use the same computers as the dealers to assist in reading the Volkswagen systems and at the same time provide service and quality dealers cannot match. Developed by Ferdinand Porsche in 1934 the first Volkswagens were made for officers of the military. The name Volkswagen translates to people’s vehicle. The first cars were designed to be easily and inexpensively repaired. Before and during WWII the factory was in Fallersleben Germany which later became Wolfsburg and is now the largest automobile plant in the world. This plant manufactures Audi, Bentley, Bugatti, Ducati, Lamborghini, Porsche and Volkswagen. 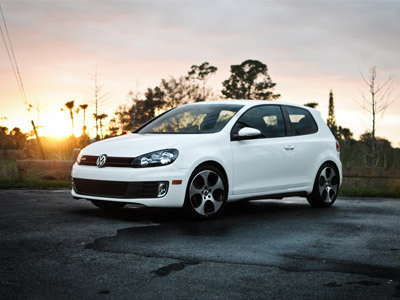 Today’s Volkswagen is a well engineered choice for the economically minded. It offers optimum performance while maintaining excellent gas mileage even for the non-hybrid models. The engines are driven either by a timing chain or a timing belt depending on year and model.The mileage intervals on timing belt replacement varies but should be done before they break due by mileage or age and the idlers and bearings should be replaced at the same time to prevent premature failure. All the new models Jetta, Passat, Golf, Beetle, Toureg, Touran and Eos come standard with all the bells and whistles; heated seats, heated mirrors with turn signal lights, electronic stability control, anti-slip regulation, anti-lock braking, power assisted front vented rotor brakes, 4 corner suspension, MacPherson front struts, 4 link rear suspension and stabilizer bars. Plus many other interior features to make the tech savvy individual happy – Bluetooth with auto streaming, Touchscreen sound system, rearview camera and driver’s 8 way adjustable power seat just to name a few. Along with regular oil maintenance services and factory scheduled maintenance we are accustomed to the common repair concerns of the VW owner. All models have need for timing belt replacement or timing chain replacement. We like to examine the water pump at the same time and if any wear is present advise replacement at the same time to save on labor costs. The modern VW is water-cooled creating a more efficient cooling system than the air–cooled Bus and Bug. This system should be looked over once a year for coolant leaks, to check the rubber hoses and plastic radiator tanks for wear. Another hot spot with these cars is the automatic transmission. Take a look to see if you have a transmission dipstick. Many of the newer VWs don’t. The designers felt they could design a car with a non-serviceable unit. Guess what? Not! There is a filter on these transmissions that should be cleaned or replaced. We recommend doing this before the car reaches 100,000 miles. We have seen several cars with 150,000 miles or more on them where the transmission fluid hasn’t been changed shifting roughly. Don’t damage your transmission by never having the fluid changed and filter replaced. We are happy to share the information we know and have learned along the way to help keep your VW in top shape and your driving experience enjoyable. Call us to schedule your vehicle for inspection and service.